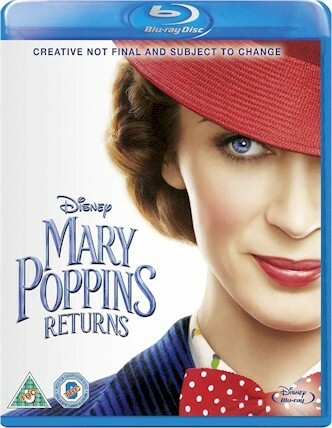 OVERVIEW: Disney’s “Mary Poppins Returns,” the irresistible, timeless sequel based upon the Mary Poppins Stories by PL Travers, has had audiences dancing in their seats and critics singing its praises, earning Academy Award® nominations for best original song, best original score, best costume design and best production design. Directed by Academy Award winner Rob Marshall, who helmed screen adaptations of “Chicago,” “Nine” and “Into the Woods,” and starring Emily Blunt, Golden Globe®-nominated for her role as practically-perfect nanny Mary Poppins, and award-winning composer, lyricist and performer Lin-Manuel Miranda as charming lamplighter Jack, the fantastical film arrives into homes instantly on Digital 4K Ultra HD™/HD and Movies Anywhere March 12 and on 4K Ultra HD, Blu-ray™ and DVD March 19 — with a sing-along version and never-before-seen bonus features. “Mary Poppins Returns” will be packaged and released in several different formats, giving families the flexibility to watch it on a variety of different devices. 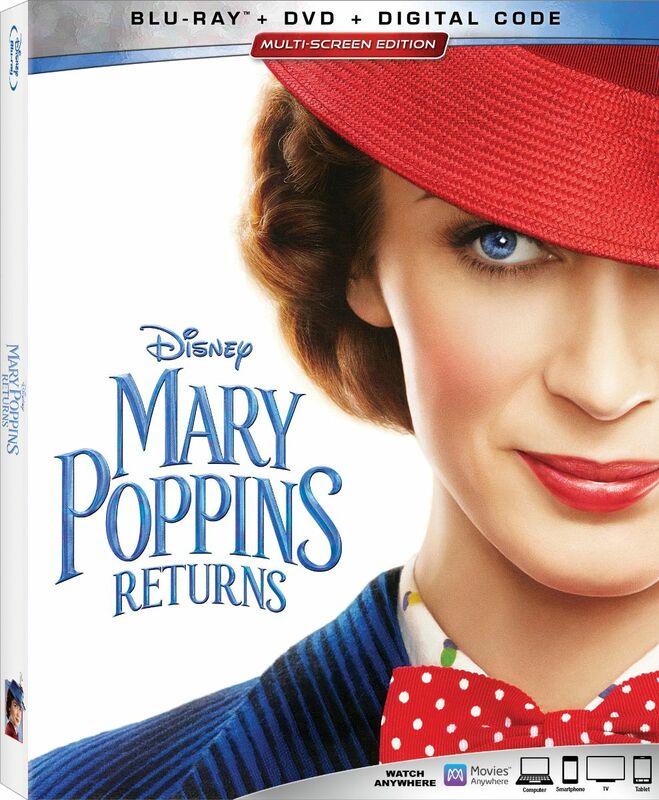 Viewers can instantly watch the film in Digital UHD, HD and SD, and bring home a physical copy of the film as the Ultimate Collector’s Edition (4K UHD, Blu-ray and Digital Code), Multi-Screen Edition (Blu-ray, DVD and Digital Code), a single DVD or a Digital Bundle with both “Mary Poppins Returns” and the 1964 classic “Mary Poppins.”. SYNOPSIS: “Mary Poppins Returns,” Michael Banks (Ben Whishaw) — just a child when Mary Poppins first visited 17 Cherry Tree Lane — is now a grown man raising his children Annabel (Pixie Davies), John (Nathanael Saleh) and Georgie (Joel Dawson) with help from his sister Jane (Emily Mortimer). Times are tough in Depression-era London but the winds begin to change and the enigmatic governess, whose unique magical skills can turn any ordinary task into a fantastic adventure, enters the lives of the Banks family once again, having not aged a single day. Teaming up with an old friend, Jack, they take the Banks children on a series of whimsical adventures, encountering colorful characters like Mary’s eccentric Cousin Topsy (Streep), Jack’s lovable band of leeries and bank executives William Weatherall Wilkins (Colin Firth) and Mr. Dawes Jr. (Van Dyke) — bringing life, love and laughter back into the home.